Trigger, a.k.a. 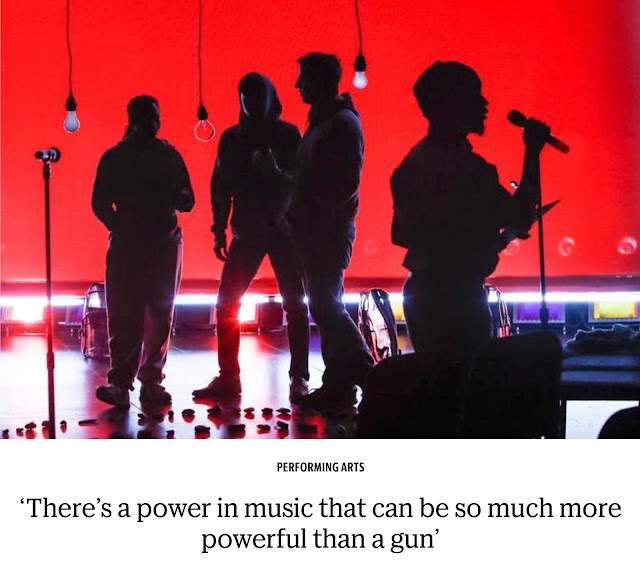 (Be)longing is a music theater forum about coming of age in an age of guns. Created by composer Byron Au Yong and writer Aaron Jafferis, the project was prompted by the April 16th Tragedy at Virginia Tech, where a Korean-American student shot 49 people, killing 32, then himself. College students, faculty, staff, and local leaders form the backbone of this performance where mental health, music, neuroscience, sociology, and theatre intersect. Developmental residencies culminated in performances and events leading up to the 10-year memorial in 2017. The libretto has been revised since the 2017 performances and is available for performances in 2019 and beyond. School shootings are a challenging subject. Debates ping pong around gun control, the second amendment and civil liberties. Trigger broadens themes surrounding shootings in America by incorporating the perspectives of people who work and study in university settings with a responsive theatrical choral project. Voices both murmur and soar in a project about belonging and isolation. With listening and empathy as core experiences of this musical work, Trigger encourages, rather than silences, numerous voices. This staged choral work serves as a touchstone for Trigger Community: thematically-related artistic, scholarly, technology, and other resources developed by local groups. Individuals and organizations are invited to think about forgiveness and justice, freedom and safety, as well as other themes related to education, guns, race, and other topics sparked by Trigger. Individuals from campus clubs, civic organizations and audience members converse through the creation of art as strategies to prevent school shootings. Trigger Community brings audiences, experts and performers together in artistic spaces of imagination and impact as active negotiators in topics that have divided Americans, such as second amendment rights and mental health profiling. Both the core performance of Trigger and related events in Activate (Be)longing serve to broaden and deepen themes to build communities to end violence. Trigger (titled (Be)longing at Virginia Tech and the International Festival of Arts & Ideas) is the second work in a trilogy of music theatre works about what Americans fear, by composer Byron Au Yong and librettist Aaron Jafferis. The first is Stuck Elevator. The third is Activist Songbook. Trigger is scored for singers, rappers and beat boxers who play stones. With an auditioned cast chosen from the local community, the creative team guides participating musicians to collaborate on a performance specific to the host venue. Additional instrumentation can be arranged according to the talents of the cast. Trigger, a.k.a. (Be)longing, is an ArKtype project, commissioned and co-produced by Moss Arts Center, Blacksburg, VA and the International Festival of Arts & Ideas, New Haven, CT.
(Be)longing is a commission of the Moss Arts Center and developed in partnership with International Festival of Arts & Ideas. Residency development provided by The Flea Theater, Millay Artist Colony, Montalvo Arts Center, Sundance Institute Theatre Lab, Theatreworks Silicon Valley, Westminster Choir College, and Weston Playhouse. 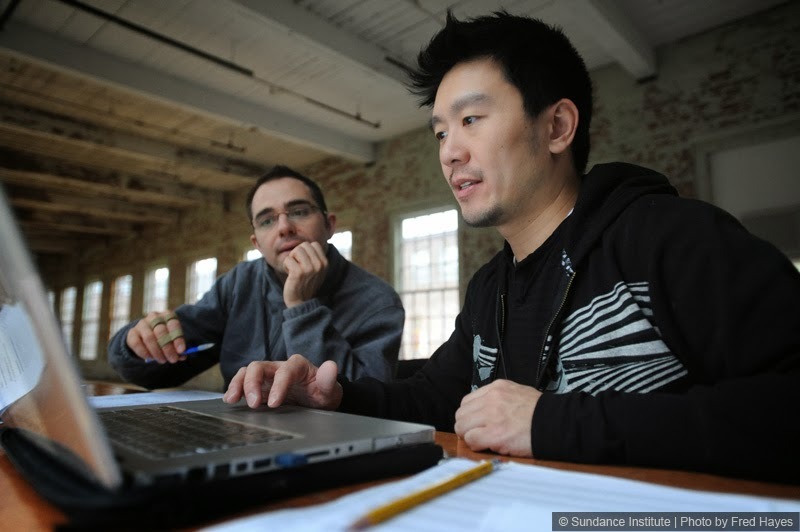 Trigger was developed, in part, at the 2014 Sundance Institute Theatre Lab at MASS MoCA.